D-Link’s latest Covr Seamless Wi-Fi Mesh System, the new high-powered COVR-2202 provides your studio or home with blanket Wi-Fi coverage – up to 560m2. The latest addition to the range features tri-band AC2200 Wi-Fi with dedicated 5GHz Smart Backhaul along with Smart Steering that automatically directs devices to the optimal wireless band. The Smart Roaming seamlessly connects to the strongest signal as you move around your space. It promises faster downloads and lag-free 4k streaming. 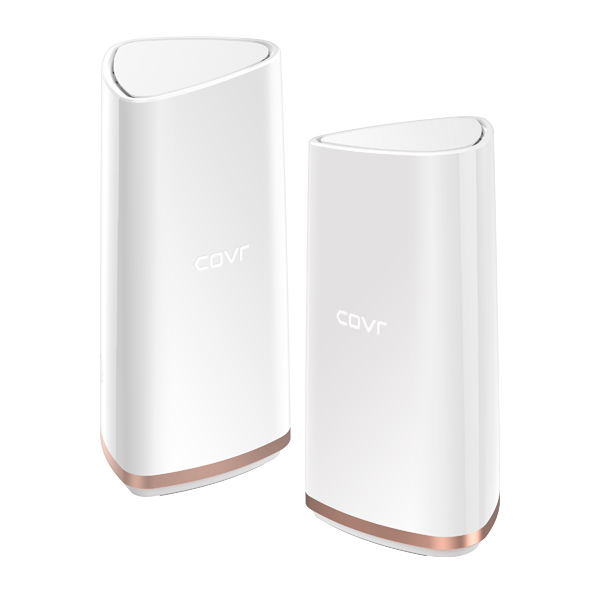 Providing better coverage that a typical range extender, the COVR-2202 includes two devices – one connected to your modem or router, the other placed in an optimal position to best spread the Wi-Fi signal. Two Gigabit Ethernet LAN ports per unit allows for high-speed wired connectivity. The COVR-2202 won a hotly contested CES Innovation Honouree Award.